Recently I came across this quote from Kenny Werner: "Judging a music by its style is like judging a person by their clothes." I couldn't think of a quote to more aptly describe what I want my writing to do: demystify the exterior of jazz by opening up the inner workings. For my 100th post I wanted to share some inspiration from a variety of jazz musicians. 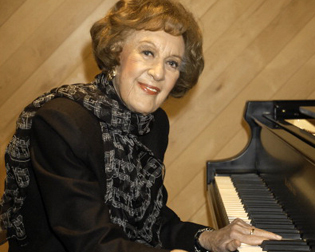 Recently I have been listening to the jazz podcast Piano Jazz from NPR with host Marian McPartland. This podcast brings together acclaimed artists to share music and memories. An acclaimed pianist in her own right, McPartland initially struggled to make a name for herself in New York. One critic suggested that she had three things going against her: she was British, she was white and she was a woman. What I love about Marian is her touch on the piano, how every note sounds crystal clear. One day, I happened upon a Piano Jazz about Michel Petrucciani. He was born with the genetic disease osteogenesis imperfecta, making him three feet tall, yet his hands were unaffected by his disease. With his extraordinary talent he is one of the greatest French jazz pianists of all time. When I heard Petrucciani's playing it felt like this sound hit me across the face: his individuality and energy captured me. His playing is fearless. There’s a lot of people walking around, full-grown and so-called normal—they have everything that they were born with at the right leg length, arm length, and stuff like that. They’re symmetrical in every way, but they live their lives like they are armless, legless, brainless, and they live their life with blame. I never heard Michel complain about anything. Michel didn’t look in the mirror and complain about what he saw. Michel was a great musician—a great musician—and great, ultimately, because he was a great human being because he had the ability to feel and give to others of that feeling, and he gave to others through his music. Another Piano Jazz I was blown away from was with Hazel Scott. A child prodigy that was given scholarships at age eight to study at Juilliard, Hazel was a jazz and classical pianist that broke barriers to became the first colored woman to have her own TV show, The Hazel Scott Show. Hazel was also one of the first black entertainers to refuse to play before segregated audiences. Written in all her contracts was a standing clause that required forfeiture if there was a dividing line between the races: “Why would anyone come to hear me...and refuse to sit beside someone just like me?”. Read more about Hazel here. Billy Strayhorn worked with Duke Ellington and together they wrote some of the most famous jazz standards such as "Take The A Train", "Lush Life", "Chelsea Bridge". He was openly gay in a highly homophobic time, and was a civil rights activist. He stayed out of much of the spotlight due to his shy demeanor, but also because of fear of being persecuted. Nonetheless, his role as a composer has left an unforgettable impact and a brilliant songbook. Duke Ellington described Strayhorn as, "My right arm, my left arm, all the eyes in the back of my head, my brain waves in his head, and his in mine." 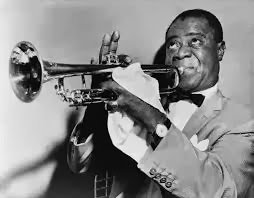 Louis Armstrong came from humble beginnings in New Orleans. Working from a young age to support his family, he first taught himself how to play cornet. Mentored by Joe "King" Oliver, Louis began touring the world and made the famous recordings, his "Hot Five" and "Hot Seven." What makes Louis so astounding is that he not only changed and developed music, but in a segregated time he got the whole world to love him. Appearing in movies, and selling out concerts - he was simply an international star. Through music and the sheer joy of his personality he conquered barriers. Learn more about Armstrong here. I wanted to share all of these musicians because between any boundary, real or imagined, social, political or personal, there is the inner freedom to overcome anything put in front of us. I started Kind of Pink and Purple in high school. Now I am going to be a sophomore at Berklee College of Music. This signifies my 100th post on this platform, and I wanted to thank anyone and everyone that has ever read my writing. Though I do write reviews, I write not as a critic, but as someone that shares jazz to let others make their own opinion. Because, after all, judging music by its style is just like judging people by their clothes. As a Newport Jazz Festival Student Ambassador, I am very excited for this year's festival. Make sure you take advantage of the $20 student tickets. WGBO is also offering busses to and from Berklee to the festival for anyone to make travel simple. The schedule for all three days is available online as well as on the Newport Jazz app. No matter what level of jazz fan you are, old or new, this is a beautiful way to spend the summer. Please subscribe to Kind of Pink and Purple and follow on other social media: Twitter, Tumblr, Instagram, Google Plus, Pinterest.